Jahangir Mamatov is a Senior Linguist, a Lexicographer, an Author and a well known Political Analyst of Central Asian issues. He was born on September 1, 1955 in Samarkand. He was married in 1980, and is a father to four children. Mr. Mamatov’s spouse is also a linguist. Mamatov graduated from the 24th high school in Samarkand district with excellent grades in 1972. He graduated from Tashkent State University and received a Journalism degree in 1979. Mamatov pursued further graduate studies until 1981 focusing on Ethics in Journalism and Linguistics. His career began as an editor of the “Toshkent Haqiqati” newspaper in 1973. During 1974 until 1979 he worked as a Deputy Technical Editor-in-Chief of the “Qishloq haqiqati” newspaper. Mamatov worked as an Editor at the State TV-Radio Company and hosted broadcasts on the agricultural issues from 1970 until 1981. From 1981 until 1982 he worked as a Deputy Director of the “Ulughbek” state farm in the Jomboy district of Samarkand province. He also worked for the “Lenin Yoli” (“Zarafshon”)newspaper in Samarkand province during 1982-1985. From 1985 until 1990 he worked as a Special Correspondent of “O’zbekiston Ovozi”. At the same time, he worked as a Correspondent of the “Mushtum”, a satirical magazine, and the “Qishloq Haqiqati”, a national newspaper. and “525 days that Shook Samarkand”. as well as the Vice-Chairman of the Parliament’s “Glasnost Committee” which he lead until 1993. Declaration of Independence. 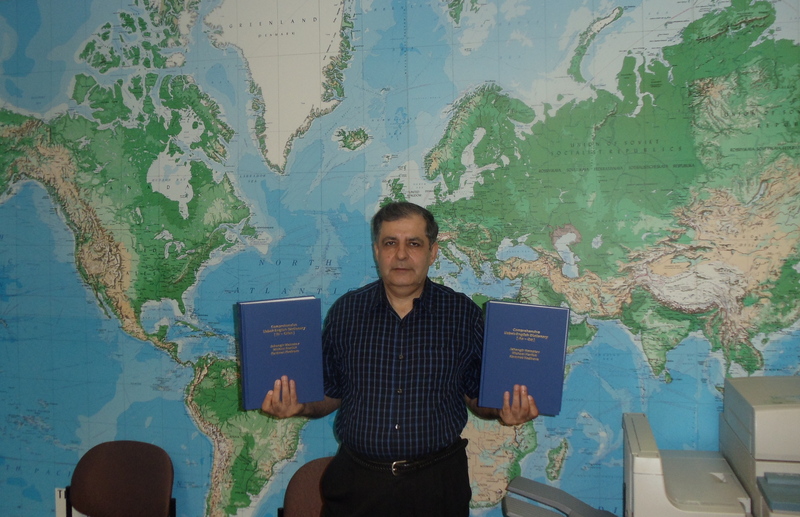 Mr. Mamatov was one of the author’s of this historic document. that those incidents were masterminded by the Uzbek government. Meskhet Turks in the Parkent district of Tashkent province. those events Mr. Mamatov was pursued by the Uzbek government. by the unity among the peoples’ deputies in Parliament. publicly burned his Party member certificate. the government falsified the election results. The “Glasnost Committee” where he worked became the real power in the Parliament. This was the reason the Deputies in the Parliament supported his actions. However, President Karimov closed the “Glasnost Committee, by violating many of the Parliament laws. Their goal was to get rid of Jahangir Mamatov. After Mamatov’s resignation this committee was re-opened. Television – Deputy of the State Radio and Television Committee. resignation as a sign of a protest to the dictator Karimov. Karimov’s dictatorship, and who persisted in fighting for democracy. He was the organizer of the March 28.
of the “Erk” (“Freediom) Democratic Party, main party of the democratic political opposition in the country. of the organization were confiscated. newspaper of the “ERK” Democratic Party in 1994.
an affiliate of the “Erk” Democratic party. At the time, Mr. Mamatov was the Chief Editor of the newspaper as well as the Deputy Chairman of the “Erk” Democratic Party. the attack was organized by the Uzbek Government. the Parliament for his dictatorial behavior. World Conference as a representative from the” Erk” Democratic Party. April 17th, 1993 he was arrested in Samarkand by the Uzbek authorities. stripped of his Deputy position in the Parliament. publicly. She refuzed the government officials and was sentenced to two years in prison. assisted in publishing the Birlik movement’s “Harakat” magazine voluntarily. launching a criminal investigation for his arrest in 1995. Uzbek Service from 1999 to 2004. Due to his critical reports the Uzbek government ordered the arrest of Mamatov’s relatives and his sisters. With pressure by US Congress, US Government, and International Human Rights Organizations, Mamatov’s relatives were released. In 2005 Mamatov brought together leaders of the Uzbek democratic opposition who had been unable to effectively coordinate their activities over the past 15 years. A Congress of Democratic Uzbekistan (CDU), open to all democratic opposition groups and individuals, convened on September 25, 2005, of which Mamatov was the Chairman until 2009. Mamatov also taught Uzbek in language schools and since 2001 has been working as a senior linguist at the Language Research Center (LRC). Jahangir Mamatov is the author of nearly 40 books. Many of his books were published in the United States, Turkey and Azerbaijan, yet his books are strictly forbidden in his homeland Uzbekistan. 18. “Confessions of General“, BBC, May 18, 2001. 23. Zaynutdinov, Kh. A. The chief of National Security Service investigative department, “Ayblov fikri”, September 12, 1994. 24. The decision of Uzbek Supreme Court, 2000.